We are located on the banks of a private lake, next to a superb golf course, beside a national park, Wat Yarn temple and the famous Silverlake vinyard, just a few minutes from Bang Saray and Jomtien Beaches and close to the famous nightlife of Pattaya. At Phoenix Lakeside we have private tennis courts, a 5 a-side-soccer pitch, badminton court, fitness room, lake fishing, kayaking, in house room service, Turkish Baths, Saunas, in house massage and spa service plus our own restaurant, bar, conference facilities, weddings venue, in house laundry service, tours desk, well stocked bar in every villa. We have a VIP minibus service available 24 hours for barhopping, shopping and tours. The location is close to the vibrant nightlife yet very private and perfect for all types of guests. Families will enjoy the wondedrful attractions of the Cartoon Network Adventure park, Dolphin World and Nong Nooch Tropical gardens which are five minutes from the villas. The best beaches in the region are also only a few minutes away, with all kinds of watersports and finest restaurants. 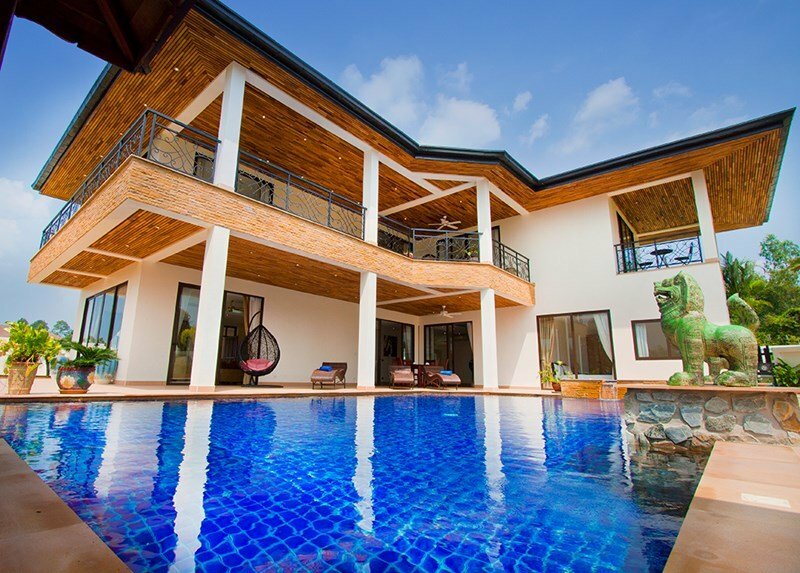 The villas are the finest in the area and perfect for your holidays. Views of Phoenix Golf Course, Buddha Mountain and Wat Yarn Temples. Views in ALL directions are wonderful.